Bill O'Reilly might be Fox's most lucrative host, but his exit due to sexual harassment claims has left the top spot empty. Fox News hasn’t been having a good year. With the controversial resignation of former CEO and Chairman Roger Ailes last July and sudden departure of lead news anchor Megyn Kelly for NBC in January, the $2 billion conservative news network has faced one PR blunder after the next. Now, Fox’s top earner Bill O’Reilly will be departing over multiple allegations of sexual harassment. 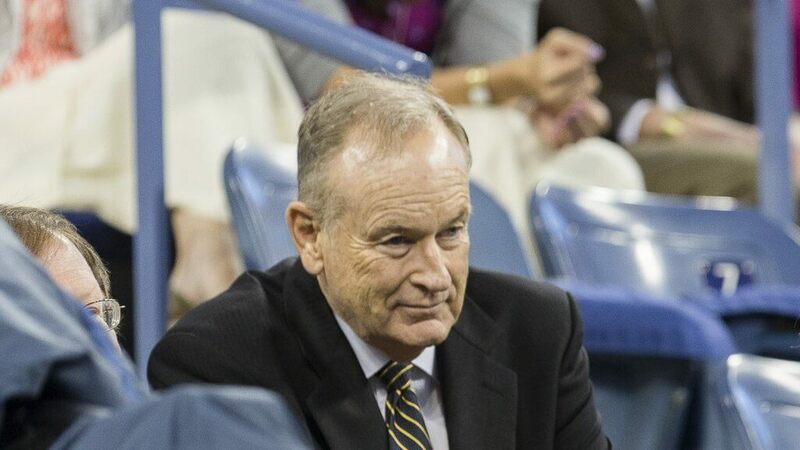 Fox News’ success can largely be attributed to Bill O’Reilly. The 67-year-old’s namesake program “The O’Reilly Factor” is the network’s runaway star, drawing about 4 million viewers per night and consistently ranking among the top-rated programs across the country. O’Reilly’s $85 million net worth comprises his $20 million annual salary from the show and the numerous books he’s written, such as the “Killing” series and “Old School,” which debuted at No. 1 on the New York Times’ hardcover nonfiction best-seller list. O’Reilly’s exit from the network means that Fox could lose a huge faction of viewers, but keeping him on in the midst of the sexual harassment allegations has already cause a financial blow. More than two dozen of the show’s advertisers such as BMW, Credit Karma and Advil broke ties due to the controversy, meaning millions in lost revenue for the network. At the time of O’Reilly’s exit announcement, the show had only 11 of its original 30 advertisers remaining. O’Reilly has not appeared on his cable show since April 11 due to planned vacation, the network said. This is Fox’s second bout of sexual harassment claims — former Chairman Roger Ailes resigned last year under similar allegations brought forth by several female anchors including Megyn Kelly, but not before the network paid $35 million in settlement fees, according to the Wall Street Journal. As the face of the network, O’Reilly’s departure will leave a gaping hole that Fox will need to fill quickly if it hopes to regain momentum after the scandal. Here’s a look at other Fox News anchors and how their net worths compare to the long-running series head. Sean Hannity, one of the most popular Fox News anchors, has hosted “Hannity” since 2009. Previously the host of “Hannity & Colmes,” he has been with the network since 1996. Also a New York Times best-selling author and a radio host, “The Sean Hannity Show” is syndicated to more than 500 markets and has a listenership of 13.5 million. Sean Hannity’s net worth is $80 million. Fox News senior political analyst Brit Hume’s net worth is $4 million. A regular presence on “The O’Reilly Factor” and “Fox News Sunday,” Hume hosted the series “America’s Election HQ” in 2016. He also previously hosted “Special Report with Brit Hume,” before passing the torch to Bret Baier. Prior to joining the rank of Fox News personalities in 1996, he was part of the ABC News team for 23 years — which included a stint as chief White House correspondent from 1989 through 1996. An award-winning broadcast journalist, Hume’s coverage of the Gulf War in 1991 landed him an Emmy. One of the newer Fox News anchors, Tucker Carlson joined the network in 2009. In 2016, he scored his own show, “Tucker Carlson Tonight” — a promotion from the “Fox and Friends Weekend” co-hosting gig he’d helmed since 2012. Prior to accepting a job with Fox News, he hosted the MSNBC series “Tucker” and the PBS series “Tucker Carlson: Unfiltered.” Tucker Carlson’s net worth is $8 million. Shepard Smith’s net worth is $25 million — largely due to his $10 million annual salary from Fox News. Chief news anchor and managing editor of the breaking news division, Smith has been with the network since 1996. Also one of the on-air Fox News personalities, he’s hosted “Shepard Smith Reporting” since 2013. Before joining the Fox News Channel, Smith was a Fox News Edge correspondent, based in Los Angeles. Martha MacCallum has been with Fox News since 2004. As the co-anchor of “America’s Newsroom,” MacCallum earns an annual salary of $700,000. Previously, she was with NBC from 1997 to 2003, where she co-anchored “Morning Call” and anchored CNBC’s “Checkpoint.” Martha MacCallum’s net worth is $8 million. Bret Baier is the Fox News chief political anchor and anchor of “Special Report with Bret Baier.” A long-time staffer, he’s been with the network since 1998, when he became the first reporter in the station’s Atlanta bureau. Helming the top-rated cable news show in its timeslot is clearly a lucrative gig, as he earns a salary of $7 million per year. In total, Bret Baier’s net worth is $16 million. Net worth figures are indicative of assets versus liabilities. All net worth and salary figures are according to CelebrityNetWorth.com unless otherwise noted. Starting at just two years old, Gigi Hadid has made a name for herself in the world of modeling and fashion design. Learn how polarizing news veteran Megyn Kelly made her millions. GOBankingRates > Net Worth > Celebrities > The Cost of Replacing O’Reilly: Who Will Step in as the New Face of Fox?